Israeli judges ordered the government Tuesday to lift a ban and allow dozens of Palestinians to attend the Memorial Day event. The court's ruling overturns Defense Minister Avigdor Liberman's decision to deny Palestinian entry for the service. The judge called the ban "unreasonable" and "imbalanced". "The defense minister's decision fails to take into account the reality created over the years and the legitimate expectations of the participants in the ceremony," the court wrote. "It completely ignores the harm to the bereaved families and the public who wish to carry it out in the manner in which it took place in previous years." Liberman did not agree with the ruling, telling the Times of Israel that it created an equivalency between "terrorists" and bereaved families. The state said some of Palestinians had family members who were terrorists, but later noted it had no evidence. 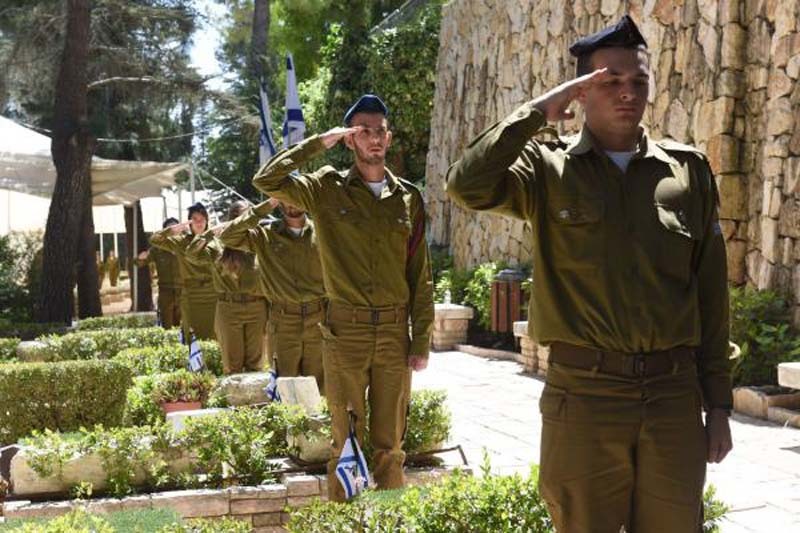 The 13th annual service in Tel Aviv will be held Tuesday night as an "alternative" memorial ceremony. Ninety Palestinians were invited this year to join more than 4,000 attendees. Liberman said allowing Palestinians to attend is in "bad taste." Organizers of the service said, "We are pleased that the court has made it clear that the defense minister also has limits and that he has to keep his sense of taste to himself." Combatants for Peace and the Israeli-Palestinian Bereaved Families for Peace organized the event. "We believe that the sentence 'In their death, they ordered us to live,' is not just a slogan, but also a call for action," the organizers told Israel's YNetnews. "We work to change reality together, to realize the shared hope for peace, and to allow all who live on this piece of land to live." The court's decision to allow the 90 Palestinians to enter from the West Bank is the same number allowed entry in 2016. No Palestinians were allowed to attend last year's ceremony.